If you have rear bullbars on your Oka, but no bar (we used the rear space for extra fuel tanks), rear ing points can be easily added if you have built in reinforced high lift jack points. This applies mostly to full body models. Drill a 22mm hole (or whatever size fits your D or Bow shackle pin snugly), just behind the high lift jack points on the side plate of the bullbar frame. 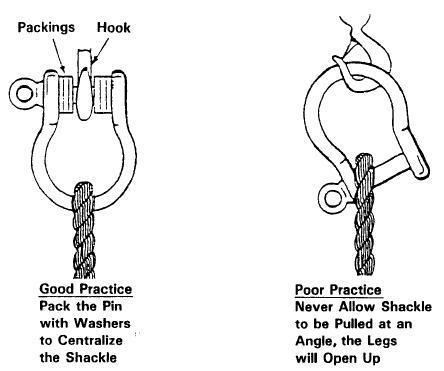 The hole should be low enough so the shackle can be lifted to at least the horizontal position. The D or Bow shackle will fit neatly through the jacking point and provide strong ing points on either side of the Oka. 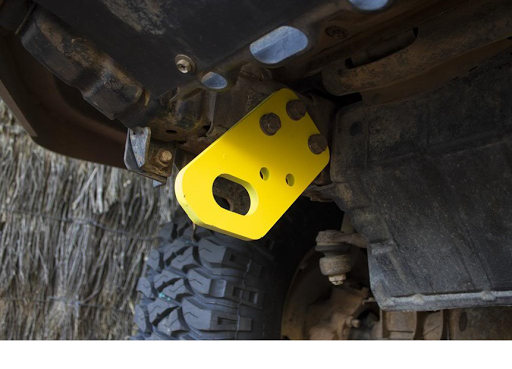 The bullbar side plate is 8mm steel and is bolted directly to the Oka chassis using the same 16mm bolts provided for holding a bar. It's the equivalent of the points built into the front bullbar and probably stronger. It's also the primary member used by the high lift jack in raising the vehicle. 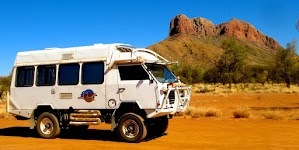 Using D or Bow shackles on both sides and an equalisation strap (or a tree trunk protector), the stresses can be shared and equalised between each bullbar when the Oka is being towed backwards, or while pulling another vehicle or object off a track. 1) Shackles with at least a 4.75 Tonne rating are recommended (equivalent to 10,500 lbs). If you need more than this you probably need a crane not a truck. 2) A webbing strap will fit a Bow shackle better than a D shackle. 3) A steel plate or large washers with 22 mm holes could be welded to the side plate to stabilise the action of the shackle if required, or packing pieces can be added to the shackle pin as shown below. 4) Don't leave the shackles attached whilst driving, the pins will vibrate loose and the shackle will drop off. 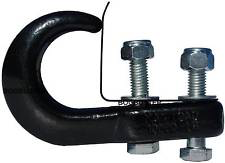 5) Bolt-on hooks area available in 4WD shops but they are not as reliable as as D or Bow shackles since you are dependent on the strength of a hook (not a closed steel loop) and the integrity of 2 or 4 small bolts. In any case I couldn't find anywhere suitable to mount them. If you have to use bolt on tow points, use something like these (from TJM), ie a closed steel loop with at least 3 high tensile fixing bolts (and somewhere substantial to mount them). We had to do a similar thing to tow my old truck back though we did not have enough bolts so are tow was not as secure but it made the 40mile tow anyway. Got to say this is much easier and cheap then fitting a tow bar yourself.